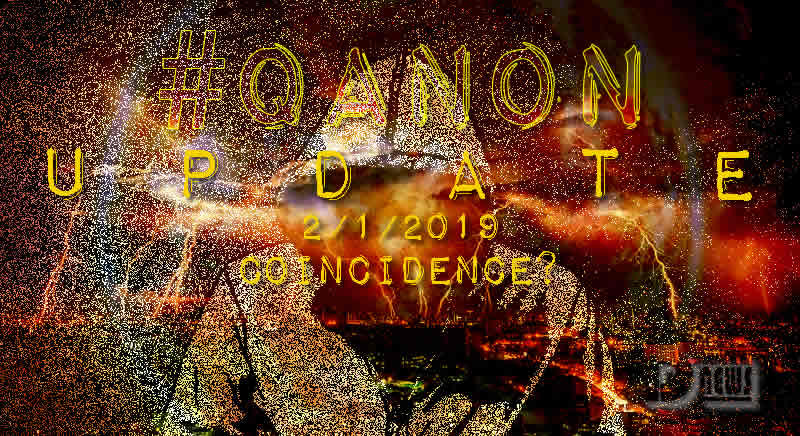 QAnon Update February 1 – Coincidence? Last drop was 13 Jan. March for Life was 18 Jan. Fake news smears of Covington Catholic teens 19 Jan. Dems know Roe v Wade in jeopardy w/more conservative SCOTUS esp w/RBG future in question. NY signed abortion law allowing full-term abortions. VA & others doing the same. 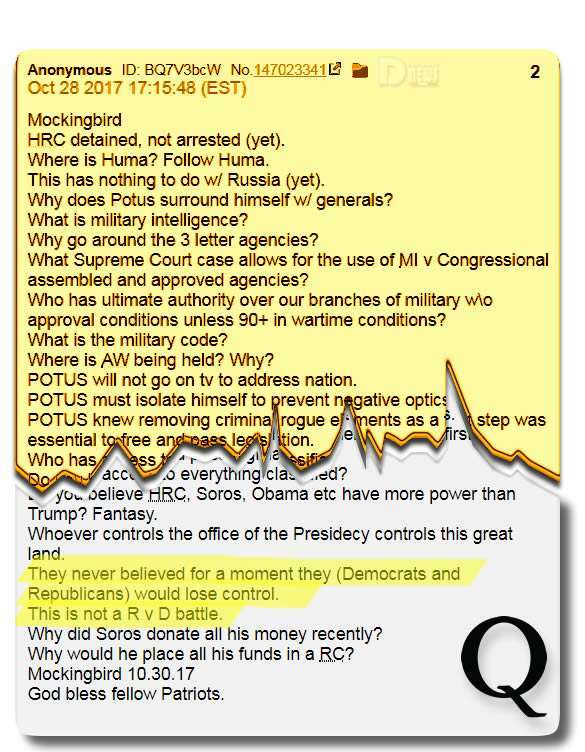 Posting the 13 Jan drop & tweet referenced in previous drop (this thread) with [PP] focus. No doubt, Dems likely took this drop as a threat to exposing their corrupt money laundering op. Huber quietly gathering evidence & racking up indictments. #Q’s drop aimed at #PlannedParenthood, & more, is the focus, re: the way loop holes are used for personal gain thru established, #OldGuard #MoneyLaunderingScams, which are tied to established #NWOAgendas . The fact that #PP has been dropped, once again, points to #RoeVWade’s tenuous status, especially w/#RBG very likely unfit or dead. The orchestrated efforts of the #Ds comes from #Panic. 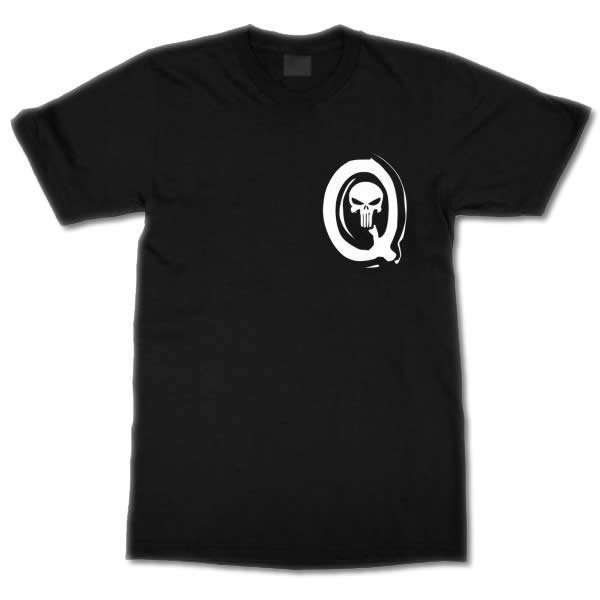 Currently, it’s due to the #D’s viewing of #QDrop No. 2673, & subsequently their reactionary response to it. #Ds likely took this drop as a threat. It exposes their corrupt #MoneyLaunderingScams while #USAttorneys, like #JohnHuber, gather evidence & compile indictments. These, now #SealedIndictments, are the works aimed at the #DrainTheSwamp agenda, ending the to #Totalitarianism! QAnon Update February 1 - Coincidence? 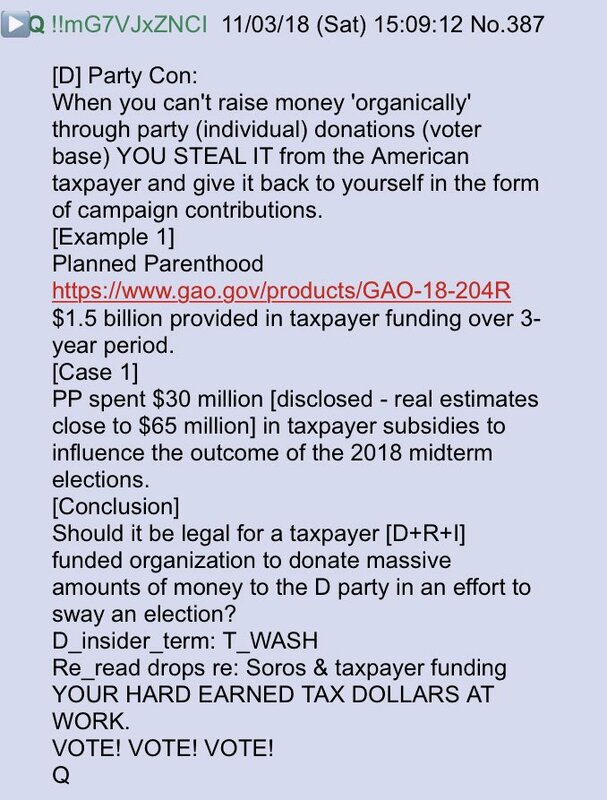 #Q’s last post before going dark 19d ago on how Planned Parenthood uses our tax dollars to politically fund D’s for their abortion campaigns was made before all the recent fury on post-birth, 40 wk+ abortion initiative. Coincidence? From before the prior week, #Q noted, despite her multiple bouts of cancer, pancreatic, Ruth Bader Ginsburg failed to show for work on Supreme Court for the first time in 25 yrs since Jan 7 after doctors discovered & removed cancerous lung lobe assoc w her broken ribs. Leftists realized Ginsburg’s health’s a threat to Planned Parenthood’s continued termination of lives in the womb, so, that same day, Hillary & Cuomo announced plan to have NY extend legally killing the babies up through the time of birth. The fact that Ginsburg would soon be replaced by our President caused panic; #Q’d referenced Charlie Kirk’s question Jan 13 re “[D] party con”. The #HippocaticOath that all doctors were once given, recognizes the sanctity of life in the womb. By the Oath, all who would be physicians must swear to do no harm first and foremost, and, never to cause an abortion. The Governor of Virginia calls himself a physician. He just enthusiastically endorsed late-late-term abortion movement. Quick to distance themselves from the firestorm, D’s evidently pulled the “Kompromat” on the doctor governor, NOT of course for supporting killing babies, but rather for his college halloween costume 1984. #QAnon post after 18 days of going dark. Intentional silence by Q to emphasize the Planned Parenthood drop. Q and @potus obviously knew PP would be pushing third trimester abortion legalization in certain states and Q wanted anons focused on this. Strategic post. Not sure why this photo was posted. Guessing some kind of op underway. Photo has been used in several past news reports, mostly related to strikes against ISIS in Syria. 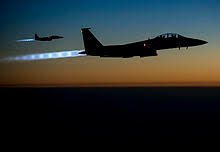 The photos of the F15s could depict a mission underway right now perhaps hitting Iran. Notice the stringer. y. Where have we seen that before? [y] = 5:5. Y = owl symbols.